"To each sin pine s'n'hérin" ... 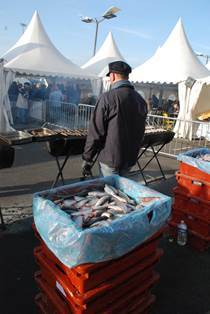 The tradition continues in the port of Boulogne-sur-Mer by combining Fishing Animation since 1991. 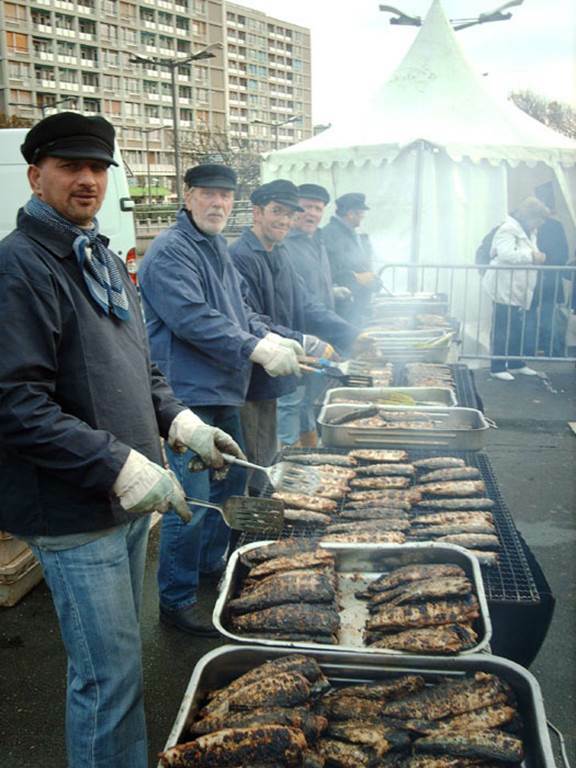 This Festival is dedicated exclusively to herring, fish "ROI" who once made the wealth of the first fishing port of France, Boulogne-sur-Mer. Attend the show "Saturday and you" live from the Herring Festival Saturday, November 22 at 16:15. We are waiting there! 21 and November 22, 2015 in Boulogne-sur-Mer, quai Gambetta. 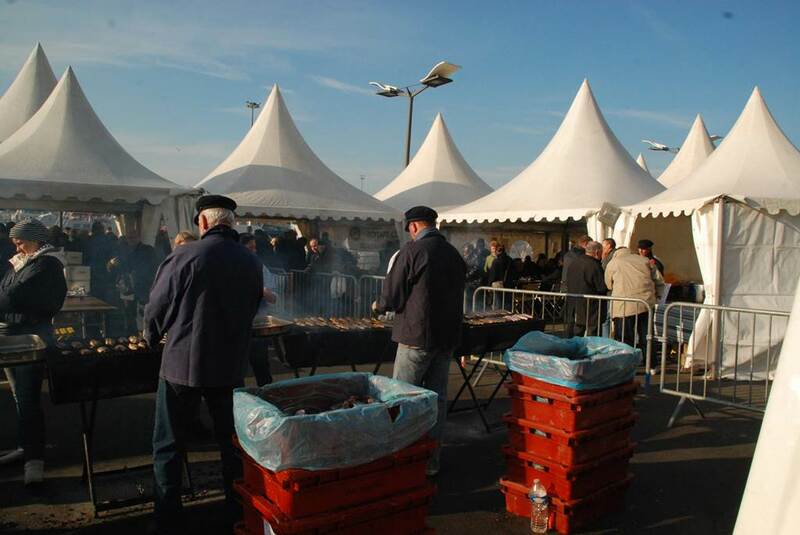 A piece of bread, a Beaujolais glass just out of the cellars (in moderation), a grilled fresh herring on giant barbecues installed on the quai Gambetta, on 22 and 23 November from 10h to 19h, all for € 3 ... this is what awaits visitors during the whole weekend. Smoked Säure, pickled, canned, herring will be tasted on the spot and / or carried in all its forms ... and businesses working for the occasion, the inshore herring caught by our local fleet, since the fish "KING" was the excellent choice to attend at this time, Boulonnaises coast to breed! This public event aims to rehabilitate the current consumption and gourmet herring. Moreover, the success of the alliance as a taste of this fish that time just when launched Beaujolais Nouveau, encourages Animation Fishing party members and partners to perpetuate this event.Public event, the Herring Festival attracts many faithful visitors to the maritime traditions and the friendly folk festivals. This event certainly loyal to the general public but also as partners for 24 years, the Herring Festival is supported by the City and the Tourist Office of Boulogne-sur-Mer, the North From the wholesale fish trade Boulogne and Training Center with Seafood and Earth. Exhibition of illustrations by Jean-Louis Dress and texts Ghys Bruno, their children's book "Baptist and the Sea" having ensembledes players in the industry products of sea Boulogne-sur-Mer, making it the first fishing port of France and the European center for processing and marketing of seafood ... "Boulogne-sur-Mer, live the sea"
Exhibition of paintings by Brigitte Graveline whose favorite theme is the sea, boats, beach huts, etc. Presentation of the local currency "Bou'Sol" which promotes the identity and local economic development. Throughout the weekend, the group "z'avez not see Raoul" provide the musical atmosphere of the festival. In the presence of Laura Pascale, our famous Zabelle the Local Review, let yourself be carried away by the warm atmosphere of the maritime world. A 15h Saturday and Sunday: the "Three Graces" will visit us ... These three men dressed as women, will practice in patois Boulogne, the "Cancan" and the gossip ... Laughter guaranteed! Discover our holiday offers on the subject of "Herring Feast" by clicking here.